Le Trou ("The Hole") had the misfortune of being released the same year as Jean-Luc Godard’s Breathless. While the latter became a cinematic linchpin and a cultural reference point, the former took a more rarefied position as a favorite among critics and cinephiles. 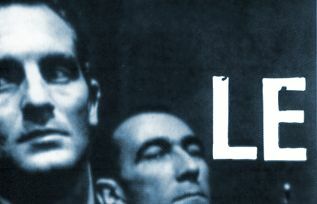 And while Breathless was Godard’s breakthrough film, the one that put him on the world map, Le Trou was the swan song for its director, Jacques Becker, who died only two weeks after completing it. Becker pre-dated the French New Wave. He worked as an apprentice for Jean Renoir (Rules of the Game) before World War II, and was later captured by the Germans during the war. Returning to France in 1942, Becker became active in the French Underground. His film career took off in the late 1940s with Antoine et Antoinette. When he died in 1960, he had made 13 films. His final and some say best film, Le Trou marked a kind of end for the Golden Age of French cinema and the birth of the New Wave. Based on the true story of five inmates who attempt a daring escape from La Sante prison in Paris, Le Trou feels like a distant cousin of Rififi in that it centers on a group of men who try to pull off the impossible. As in a documentary, things seem to happen in real time and there’s no effort to make it look or feel easy: the creation of the titular hole is filmed as an unbroken action and involves a decidedly low-tech method – the pounding of concrete with a metal crow bar. The focus here, as in Rififi, is "the process" – the meticulous, almost excruciating preparation that goes into pulling off the plan. The screenplay, co-written by Becker, Jose Giovanni, and Jean Aurel (based on a novel chronicling the same true story), never reveals the plan in its entirety. Instead, we are shown pieces of it as the inmates progress gradually but certainly from one discovery to another. The amount of preparation is quite formidable, and the inmates are slowly revealed to be resourceful and intelligent. In one scene, they create a rudimentary periscope out of a toothbrush, thread, and some broken glass. In another scene, they create cardboard replicas of themselves that they place under blankets to give the illusion that they are sleeping. The hole that the inmates dig leads to an underground maze of corridors and chambers. Becker shoots theses scenes in long, unbroken takes, often holding a shot for longer than is absolutely necessary. The effect is one of heightened tension. As observers of everything, we become implicated in their plight. And as there is no musical score to distance us from the action, we have no choice but to participate in it. Becker and his production team (headed by cinematographer Ghislain Cloquet and production designer Rino Mondellini) create two worlds, a prison world that exists above ground, and a subterranean world where everything is cloaked in darkness. According to the production notes on the Criterion Collection's DVD release of Le Trou, La Sante prison was replicated down to the smallest detail with the help of three actual members of the escape whom Becker hired to serve as production consultants. Their experience is most evident in the scenes involving escape logistics, such as when the inmates encounter a concrete wall and must dig a tunnel around it. The actual digging is hard work, and the inmates work in shifts throughout the night. Their discipline brings them together into a cohesive unit. They are a family in the sense that they look out for each other. When the tunnel collapses, burying one of them under dirt and rock, his look-out digs for what feels like forever until he finds his friend. The cast is comprised entirely of non-professional actors. One of them, Jean Keraudy, who plays Roland, the group’s resident handyman, was part of the original escape team, and his hands, which include a few amputated fingers, suggest a violent past. What Keraudy and the others bring to their roles is physical authenticity. Their acting is spare, without pretense, and, for the most part, non-verbal. Becker has them perform the same excruciating labors as the real inmates did, and there’s a sense that what we are seeing is a re-creation of events rather than a mere cinematic version of them. The character who stands apart from the rest, and deliberately so, is Gaspard (Mark Michel). He is the fifth and final inmate to be assigned to the cell. The other four inmates had already planned their escape when Gaspard enters their company and they hesitate to confide in him. We know from the movie’s opening scenes that Gaspard is honest, trustworthy, and plain-spoken. Gradually, he is accepted by the other inmates, but he remains on the periphery, observing more than participating, and in one scene, he reveals a darker side of himself when he informs the others that he is in jail for first degree murder. Gaspard’s loyalty to the team is a variable throughout the movie. Becker keeps us guessing until the final scene. Escape is an ugly business and Becker never flinches from the unpleasantness. Even small details, like the passing of goods from one cell to another using a series of ropes, or the fashioning of a master key out of scrap metal, requires ingenuity and plain hard work. By emphasizing the mechanical nature of it all, Becker has fashioned a movie that is honest and respectful to its subjects. Le Trou is now available on DVD from The Criterion Collection in a new digital transfer that has been enhanced for 16x9 televisions. The disc includes excerpts from the movie's 1960 U.S. pressbook. In French with optional English subtitles. Suggested retail price: $29.95. For more information, check out The Criterion Collection Web site.